Flat panel TV mounts for 17, 19, 21, 23, 25, 27, 32, 37, 42, 46, 48, 49, 50, 52, 55, 58, 60, 63, 65, 75 inch televisions. 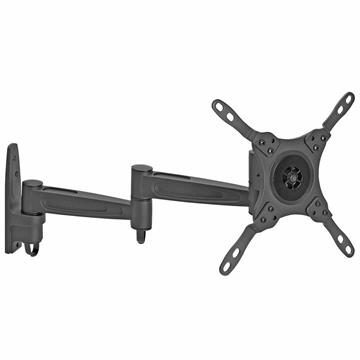 These mounting brackets sit fixed against your wall and offer no swivel or tilt functionality. A flat wall mount is an affordable way to mount a television in a fixed spot. Compatible with TVs from 17 to 75 inches in size, these flat TV wall mount brackets are a universal TV hanging solution.